More and more often, world-renowned chefs are swapping kitchens with one another to share their culinary creations across oceans, borders, and cultures. It’s a recipe for success. Talented chefs such as Blaine Wetzel land in a new country and stir up a multi-course meal with foreign ingredients, a fresh team, and in a new environment, as highlighted by The Wall Street Journal. The Little Nell prioritizes such cameo appearances with the globe’s most incredible chefs. The collaboration serves as a unique experience for guests and helps to build a strong community between chefs from around the world. The Guest Chef Series this ski season at The Little Nell features single-night appearances from esteemed culinary world-leaders: Chef Thomas Troisgros, Chefs Jean-Georges and Cedric Vongerichten, and Chef Håkan Thörnström. Thomas Troisgros arrives in the Roaring Fork Valley from nearly 6,000 miles away: Rio de Janeiro, Brazil, where he is an acclaimed French Chef at Olympe. 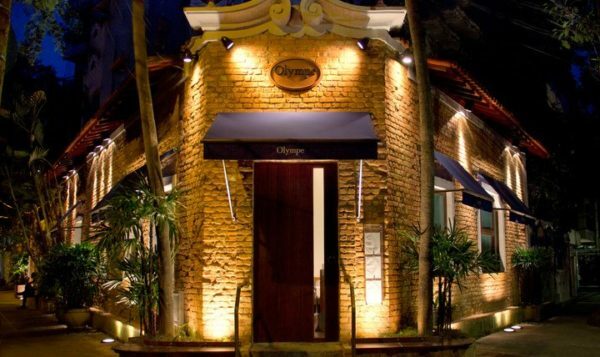 The Michelin-starred restaurant was named one of the Top 100 World’s Best Restaurants and was ranked 17th on Latin America’s 50 Best Restaurants. “I’m bringing Olympe’s culinary experience to The Nell and using Brazilian ingredients such as Acai Berry and Brazilian coffee,” says Troisgros who is returning to Aspen for a seventh consecutive year. “What I love about Aspen is the atmosphere of the town, how easy it is to get on the slopes, the friendliness of the locals, and—especially—the food scene. The Little Nell amazes me with its high-end cuisine, the best local products that Colorado can offer, and the expertise of the culinary team,” he says. The fourth-generation chef draws creative inspiration from his grandfather Pierre’s roots—Troisgros lived in France for a season when he was ten years old—as well as Brazil’s progressive gastronomy. Chef Troisgros will create a six-course meal that is based on the current menu at Olympe. Expect scallops and Kombucha ponzu; shrimp and sorrel; fava beans and pork consommé; halibut with squid ink reduction; and Wagyu Denver steak with an açaí berry vinaigrette, followed by a brazil nut macaroon dessert. 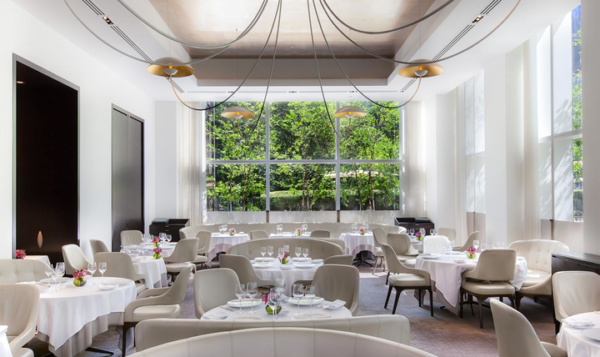 Visiting Colorado from across the country, New York City-based Chef Cedric Vongerichten and his father—world-class chef and restauranteur Jean-Georges Vongerichten—will team up to present a four-course meal for this special night. Following in his family’s footsteps, Cedric blends French, American, and Asian style into his dishes at Perry St.
“We looking forward to cooking and giving a little taste of New York City to the guests,” shares Cedric, who will be returning to Aspen: “I remember skiing in Aspen at nine years old, and I am now happy to bring my two kids and ski with them,” he reflects. Landing in Aspen from Sweden, Chef Håkan Thörnström has owned and served innovative plates with his wife, Anne, at Thörnströms Kök for two decades. 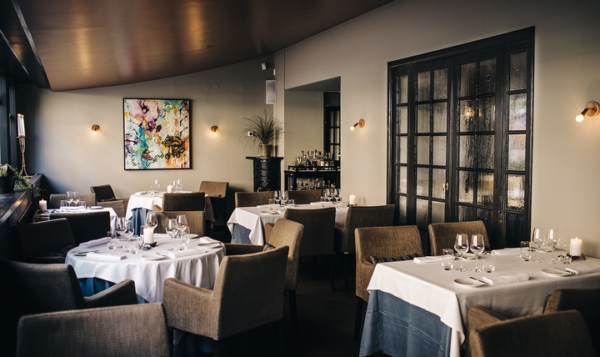 The menu embraces contemporary Scandinavian and regional cooking and is a recipient of Michelin stars. “I nearly cry every time I leave Aspen. At take-off, I long to get back to this magical place,” says Thörnström, who will be retiring for a seventh time to Aspen. Anne also lived in Aspen for a couple of winters, 25 years ago. “Aspen is not only a great skiing area. It’s a great place for ‘peacing out.’ The locals are friendly, and the ambiance all over town is lovely,” he says. At element 47, Thörnström will share a four-course meal that will showcase Nordic cooking methods including ingredients that are pickled, marinated, smoked, and fermented. Swedish products—such as matjes herring, cloudberries, lump fish roe, smoked mackerel, and ansjovis—will be paired with locally-sourced fresh ingredients. The night’s menu will open with slices of gravlax—marinated salmon with dill and mustard—and a top-secret recipe for Akvavit, a flavored spirit, followed by main courses of meat, veggies, seafood, and an herbal spiced red wine. The round will close with Swedish mini Selma pastries and coffee. I’m looking forward to interacting with the Sommeliers and the waiters. It’s a privilege to spend time as a part of The Little Nell team, and spending time in Aspen recharges the batteries. “I am looking forward to long, happy prep hours in the kitchen with Chef Matt Zubrod and his team. I’m looking forward to interacting with the Sommeliers and the waiters. It’s a privilege to spend time as a part of The Little Nell team, and spending time in Aspen recharges the batteries,” says Thörnström, who is looking forward to his adventure in the kitchen as a way to fuel his experiences beneath Colorado’s sunshine: “Of course, if there is fresh snow, Anne and I are up for some backcountry or Snow Cat skiing.” We hope you agree.